A teenage girl died after being electrocuted while charging her mobile phone. Yoelmi Hernandez was killed by a fatal jolt of electricity while holding her handset while it was plugged in. The tragic 18-year-old was unaware that the power cable had melted, leaving a wire exposed. 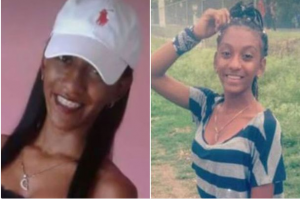 Yoelmi’s mother watched in horror as the girl received a fatal shock when she touched it at their home in the municipality of Consuelo, in the south eastern Dominican Republic province of San Pedro de Macoris. 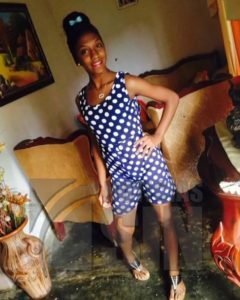 The teenager was rushed to Angel Ponce hospital where doctors tried to revive her but she was declared dead a short time after the accident on September 10. Yoelmi had only turned 18 a month earlier and planned to go to university to pursue a career in accounting. Dozens of heartbroken friends and family attended the funeral of the popular young woman. Mourners were seen weeping beside the small white open casket and breaking down during the emotional ceremony. Yoelmi’s relatives claim that there was a voltage increase in the power system which the phone was connected to. This caused an electrical surge to pass through the cable, melting the protective plastic casing, and leaving Yoelmi exposed to dangerously high volts of electricity. Police are continuing to investigating the case to determine the exact circumstances of Yoelmi’s death.